To create an Event Product, please follow these simple steps. 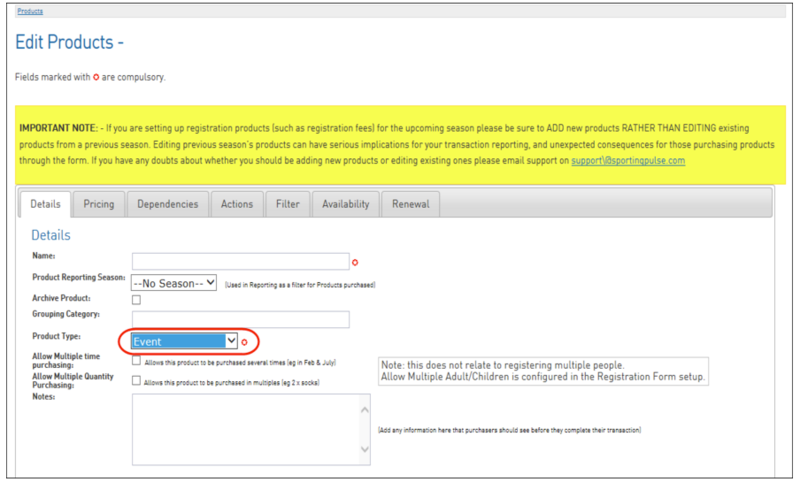 1.From your dashboard, hover over Registrations in the top menu and click on 'Products'. 2. From the product page, click 'Add New Product'. 3. Ensure all compulsory information is filled out throughout the tabs - most importantly the Product Type which needs to be Event.